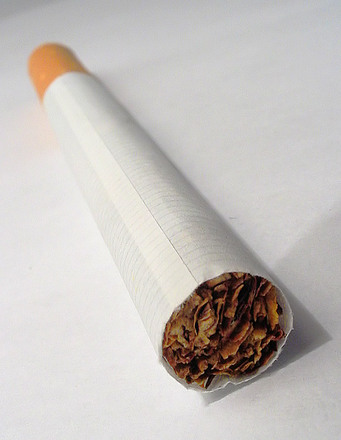 R.J. Reynolds Tobacco Co. v. Stidham involved plaintiffs who were diagnosed with lung cancer that attempted to join a single lawsuit against the tobacco companies and the producers of asbestos and asbestos products. These plaintiffs asserted that their cancers were the result of both exposures to deadly asbestos fibers as well from years of tobacco smoking. This is not the first time that plaintiffs sued both the cigarette manufacturers and the asbestos companies together, but in this case, there were procedural challenges. In this jurisdiction, asbestos cases are tried on a special asbestos docket. As our or Boston mesothelioma litigation attorneys can explain, one of the reasons courts treat asbestos cases differently than other cases is because of the need for speed through the system due to the deadly effects of the disease that often results in plaintiffs not surviving all the way through the trial process. This does not, however, mean that if a plaintiff dies during litigation there this is no case left. In this situation, the surviving spouse or next of kin will be required to open a probate estate in the name of the decedent and then take over the the case on behalf of their deceased family member. Another issue in these cases is that mesothelioma is a cancer almost always caused by exposure to asbestos, and it is often in the lungs, but it is not the same type of lung cancer caused by cigarette smoking. However, asbestos exposure can cause that type of lung cancer, and that is how a person who has been exposed to asbestos and also smoked may be able to sue both types of companies in the same lawsuit. In this case, they alleged what is known as synergy of causes between the two carcinogenic products. This was okay, but the court dismissed the claims against the tobacco company, because it felt they were not properly on the asbestos docket, since they did not involve the manufacture of asbestos or asbestos products. However, prior to this dismissal, the asbestos claims were settled, and they were dismissed from the lawsuit. As the Court of Special Appeals heard the case and decided that since the asbestos claims had already been settled and dismissed, there was no basis for having the tobacco claims in that docket, and therefore the plaintiff’s appeal was moot. This did not mean that they didn’t have a case against the tobacco company, but it did mean that the special asbestos docket was not the appropriate place to sue them. Plaintiffs then appealed to the Court of Appeals, which is the highest court in that state and serves as their state supreme court. In this final appeal on the state level, the court agreed with the Court of Special Appeals that the appeal was moot, since those claims against the asbestos companies were already settled and dismissed. However, despite the mootness, the court decided to discuss this case on the merits and found that it was an important issue because the city of Baltimore had been very much affected by asbestos due to the big ship building industry that once existed.